Stop Bashing the Super Wealthy. We Should Be Thanking Them. 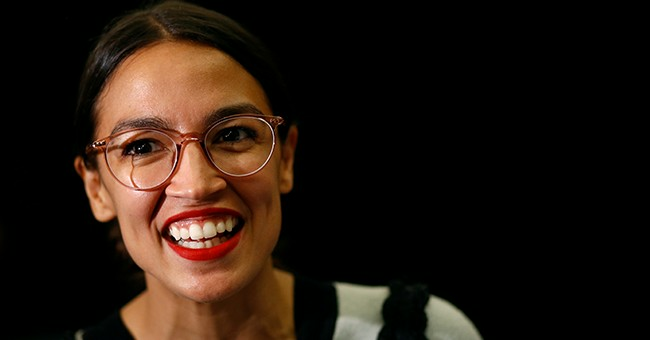 Democratic Congresswoman Alexandria Ocasio-Cortez (AOC) wants to raise the top marginal income tax rate from the current 36% to 70%, for those who earn more than $10 million annually. Democratic Senator Elizabeth Warren has suggested that not only should the federal government highly tax income, but should also tax wealth. She suggested a 2% or 3% annual tax should apply to those who have earned large amounts income and have accumulated at least $50 million of wealth. Warren thinks this is fair and society’s welfare would improve if some of the wealth is shared more evenly. She reasons that those who have earned so much don’t really deserve it all. “After making a killing from the economy they’ve rigged, they don’t pay taxes on that accumulated wealth. It’s a system that’s rigged for the top if I ever saw one” Warren recently tweeted. They believe that an individual’s success, particularly if it is great success, is not primarily the result of the individual, but rather the result of the individual being helped by others. As such the successful individual should share their wealth. Nothing could be further from the truth. The explanation is really simple to see. Suppose we have 100 people who get together and produce 1000 units of output. At the end of the day, it must be decided how the output will be divided. There are basically two choices. One is we could simply divide the output evenly so that each of the 100 workers receives 10 units. This is the theory of a communistic society. Workers are encouraged to contribute according to their ability and are paid according to their need. Since all have about the same need, everyone receives the same amount of output. In reality there may be some variation, but all members would receive about 10 units. This represents an equal distribution of output so there would be no income inequality. The problem with this system is that there is no incentive for any individual to try to increase their production. That’s because no matter how much more is contributed, the payment received would be exactly the same as other workers. As a result of the lack of incentive, these economies tend to stagnate. The second choice for dividing the output is to pay each worker according to the value of their contribution. In that system there may be one individual who figures out how to make the product better, organize the workers better, improve efficiency and determine the exact needs of the consumers. That person may get 20 or 30 units of output. Another worker who contributes very little to the production process receives very little output, perhaps only 2 or 3 units. This is not an equal distribution of output but many argue it is a fair distribution since each worker is paid according to the value of the contribution. That’s the theory of Capitalism, which sees much more advancement since each worker knows that if she can increase the value of her contribution then she will receive more output. Each time an action is implemented that takes income away from those who earned in and gives it to those who haven’t, growth of the system slows. Ultimately the more growth in an economy the higher the standard of living and the more opportunity that is available. AOC and Warren want to take income away from those who have contributed the most and give the money to those who have contributed little or nothing. This is exactly the opposite to what should be done to improve the standard of living for all. There are nearly 8 billion people in the world today. One person figured out how to make the retail sale of goods much more efficient, by selling products on the internet and establishing a complex channel of distribution system. This has improved the welfare of nearly every American and millions of people around the world. That single person has made the largest contribution to the economy and as such, he was greatly rewarded. In fact he is listed as the wealthiest person in the world. If we look at the list of who has been the wealthiest over time, like Bill Gates, John D Rockefeller and Andrew Carnegie, we see that each made a huge contribution by providing goods or services that greatly benefited nearly everyone. We should thank these people. We should also encourage others to have a vision of the future and to have enough courage, fortitude, compassion and American spirit to follow through. The result will be advancements for everyone and each will be handsomely rewarded. The best encouragement is to set up a system where each person is able to keep the majority of what they have earned. The Democrats' move toward high taxes on income, taxes on wealth (which was accumulated from income that has already been taxed) and toward a more shared Socialistic economy is counter-productive, especially to American exceptionalism. The high taxes would slow economic growth, reduce opportunity for Americans, reduce the incentive to make growth oriented investments and ultimately worsen income equality. This is especially true today since it is the highest income earners who supply the vast majority of the investment capital that is needed to propel our capital intensive economy. The high taxes and overly generous government transfer programs are exactly opposite to the principles that made this country great. Let’s thank all of the wealthy people for their large contributions, by allowing them to keep the money they earned, no matter how much it is.